Stardom can be a tricky ground, and even more so when it comes to Telugu cinema. On one hand, it gives credence to a notion that an actor can do anything he or she wants to, but then, a lot of times, it has the exact opposite effect since stardom has to justify the price tag and reach with every film. No wonder, most actors are restricted to action dramas, and even within that periphery, their characterizations is that of a vigilante-taking-on-crime, or a messiah-for-the-downtrodden. In Koratala Siva’s latest political drama, Bharath Ane Nenu, Mahesh Babu played a Chief Minister of undivided Andhra Pradesh, and by his own admission, he was a little scared to accept the role when he first heard it. You might wonder, what’s the big deal about this? Turns out that it has got a lot to do with acceptance from the audiences. Certain roles are deemed to be ‘Do Not Enter’ zones even for the biggest of stars because it might give people wrong signals or mislead them to think that a certain actor has political aspirations. But in the context of Mahesh Babu’s career, so far, Bharath Ane Nenu is no blip on the radar. Although the film is a commercial potboiler at the end of the day, it still requires plenty of conviction to play such a larger-than-life character. In fact, a lot of roles he has taken up over the years have underlined that he doesn’t shy away from taking up roles which might seem too risque for a star of his stature. Given the space that most stars find themselves in, any attempt to break the mould is seen as a big gamble and the fear of failure looms large almost till the last minute. And when it comes to Mahesh Babu and his choices over the years, the actor has surprised his own fan base and the industry alike quite a few times. While some of his decisions have backfired, others have helped him expand his stardom. No wonder, he has confessed that he’s tired of experimenting with his roles and films. “It’s not that I will say no to everything now, but I would want to scrutinise every story I get a lot of times before saying yes to it. The stakes are really high now, and I’ve to choose content that’s fresh and has all the commercial elements to impress my fans,” Mahesh Babu said in a recent interview. 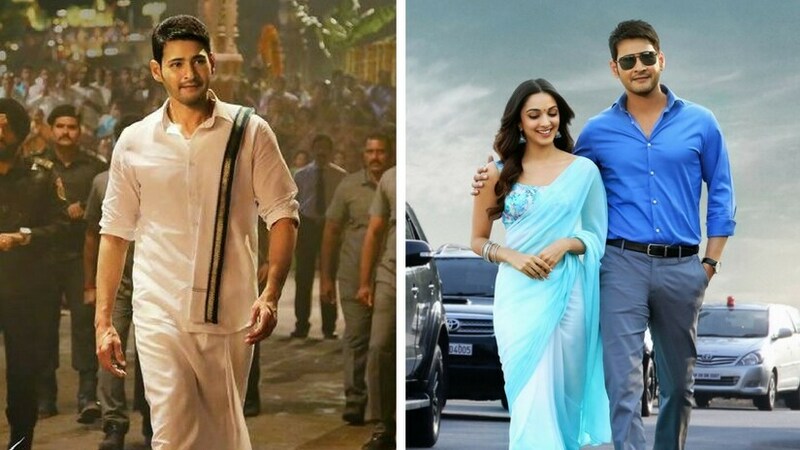 As risky as it may have sounded prior to its release, Bharat Ane Nenu is perhaps the new approach to picking roles that Mahesh Babu was hinting at. The upheavals in his career, till recently, are a direct result of him wanting to embrace a wide range of stories. Perhaps, it has also got a lot to do with carrying forward his father Krishna’s legacy. In his heydays, Krishna was instrumental in bringing Western epics to Telugu cinema with his blockbuster film Mosagallaki Mosagadu, a la James Bond-style spy drama Goodachari, political dramas like Eenadu, apart from period films like Alluri Seetharamaraju and Simhasanam. Although Mahesh Babu hasn’t been part of a period drama or a true blue spy drama yet, he did play a cowboy in a Western film Takkari Donga, which didn’t quite work at the box-office. After the success of Murari in 2001, it was in 2003 that Mahesh Babu became a star to reckon with, thanks to Gunasekhar’s Okkadu. The success of the film cemented his place as an action hero; however, much to everyone’s surprise, he played a meek guy Seetharam, who avenges his father’s death, in Teja’s Nijam. The emotional performance earned Mahesh Babu a Nandi award. The following year, he starred in SJ Suryah’s Naani, which was loosely based on Tom Hanks’ Big, where a young boy is transformed into an adult overnight. The film bombed at the box-office. In 2005-06, Mahesh Babu starred in two of his most popular films till date — Athadu and Pokiri. While he played an assassin in Athadu, which also gave him a quintessential brooding young man’s image, Pokiri’s phenomenal success made him a superstar. The gangster drama was replete with punchlines, and Mahesh himself made a mark with his devil-may-care attitude, which was in complete contrast to everything he had done till 2006. Subtlety had become his USP and his unflinching faith in his directors helped shape his stardom and image. Despite all this, it wasn’t until 2011 that he scored his next big hit with Sreenu Vaitla’s Dookudu. If one were to pinpoint one of the defining moments in Mahesh Babu’s career, it has got to be Trivikram Srinivas’ Khaleja which released in 2010. He was no longer the brooding young man from Athadu or a ruffian from Pokiri. In Khaleja, Mahesh Babu was both its lead actor and comedian-in-chief, whose comic timing brought the house down. In hindsight, the actor’s characterisation as the personification of God might have been too radical to digest at that point of time, but his performance and the film itself has remained as a fan-favourite over the years. The success of Dookudu led to series of hits for Mahesh Babu starting with Puri Jagannadh’s Businessman, where he played an anti-hero who breaks every rule and law to climb up the ladder and rule the country. It was on a different tangent compared to the morally upright characters that stars often play and Mahesh’s performance as an unabashed young guy who wants to destroy everything didn’t go unnoticed. It’s precisely this attribute — to try something new, to break free from the clutter irrespective of the results, to not get bogged down by his own image — that often leads Mahesh Babu to immerse himself in the stories he becomes part of. For instance, in his most recent film, AR Murugadoss’ Spyder, it’s the villain, played by SJ Suryah, who steals the spotlight, and yet, there is never an attempt to make Mahesh Babu the star of the show until the final act. And then, there’s Koratala Siva’s Srimanthudu, the biggest hit in Mahesh Babu’s career so far, where the actor played a subdued role who quietly leaves everything behind to reform a village. Towards the end of the film, there’s a dialogue where he tells Jagapathi Babu and Sukanya, “If I stay here, I’ll make your life miserable. You’ve given birth to me, but I can’t stay with you forever and keep you happy. I’m not a good son. I’ll try to come back for festivals and there’s nothing more I can do as your son.” You just don’t hear such things in films, leave alone a top star delivering such lines which goes against the grain of turning heroes into role-models and re-incarnation of Gods. Period.